Middlehaven is the new site of Middlesbrough College. We now have a state of the art, purpose built college that provides our learners with the most up to date facilities and equipment. Many of the courses offered at Middlesbrough College will equip you with the necessary skills and qualifications to go directly into employment, alternatively you may want to progress onto university. Middlesbrough College offers a wide variety of full and part time courses - for details call course information (01642) 333700. 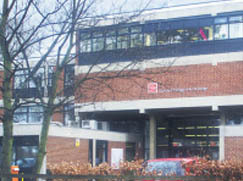 Middlesbrough College provides a whole host of new opportunities for prospective students. The launch of our new facilities heralds the start of a new era for further education in Middlesbrough - and we want you to be a big part of it. 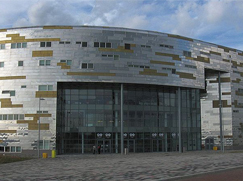 Cleveland College of Art and Design is the region's only specialist college of art and design. Graduates from the college's degree courses have found employment across the world. 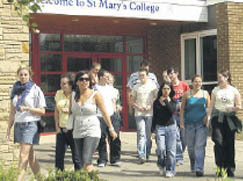 St Mary's is the only sixth-form college in Middlesbrough, offering quality post-16 education in a caring, Christian environment. The friendly, relaxed and supportive atmosphere is the perfect environment for Catholic and non-Catholic students to study A, AS level, BTEC and GNVQ courses.